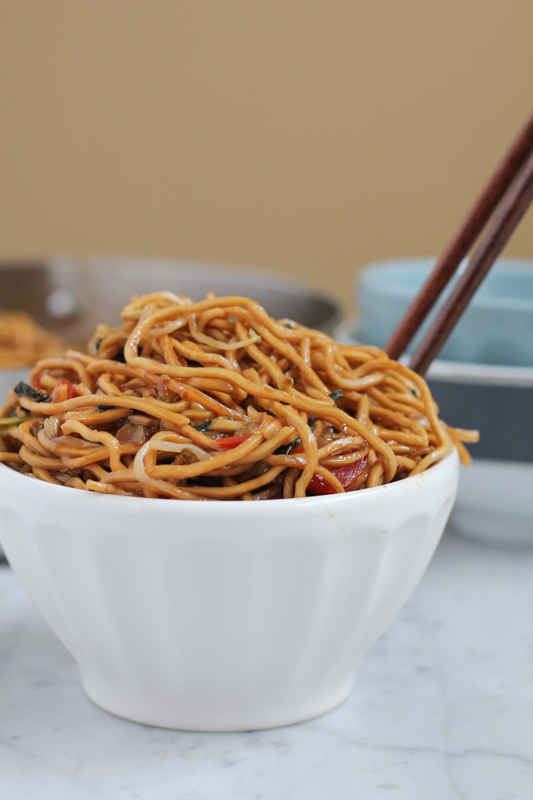 Vegetarian Chow Mein recipe that is quick, easy-to-follow and downright delicious! Make your favorite Chinese dish at home! After dessert and chocolate, my next love is Asian food. I love all kinds of Asian foods. . Chinese, Korean, Japanese, Vietnamese, Thai. . and so on. Chinese New Year is next week, Thursday, February 19, so I wanted to celebrate by sharing all Asian foods recipes for the next week. 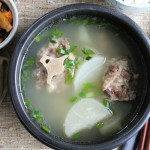 I won’t be posting everyday, but every recipe you see here on Hip Foodie Mom for the next week (6 recipes, 4 posts) will be an Asian food recipe. When it comes to Asian cooking like vegetarian chow mein, it’s not hard at all. It just comes down to the ingredients and the method of cooking. I live just outside of Madison, Wisconsin, where we do, thankfully, have a few Asian markets in town. I was psyched to see fresh egg noodles when I went to one last week, Asian Midway Foods. Now, truthfully, the produce isn’t always the best there, but I can buy my essentials and staple Asian food ingredients here and at the Korean market right down the street. When shopping at your local Asian market, don’t feel lost. Just ask for help. Now, I hate to say it but sometimes the people working there may not know how to speak English well so just carry the printed recipe or have a photo of what you are trying to make and someone should be able to help you. Just speaking the truth here. If you have an Asian market that’s in a larger city, chances are, someone there will speak English and you’ll be fine. And as I do anywhere I shop, check the expiration dates on everything. The last thing you want is to purchase a brand new bottle of hoisin sauce that’s almost going to expire. 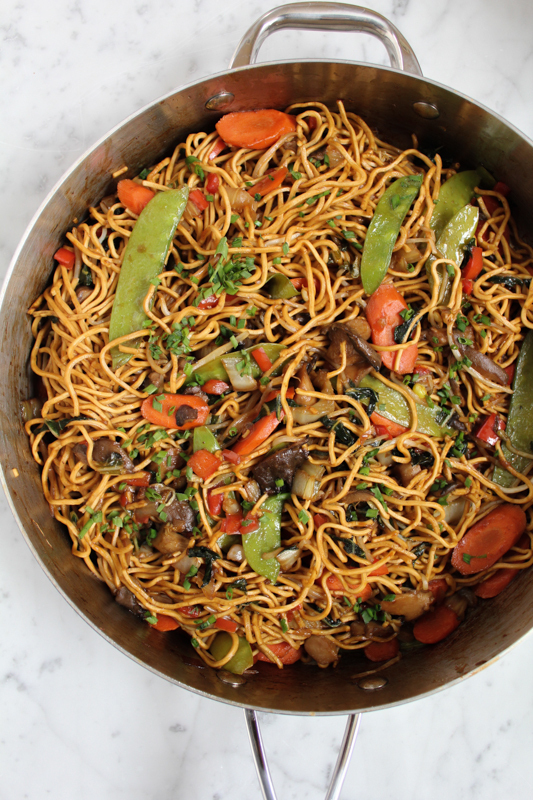 Vegetarian Chow Mein is a staple in our family. It’s the pasta. My kids go crazy for anything with long noodles. And chow mein has got to be flavorful and the noodles cooked just right. I can’t do flimsy, over cooked chow mein noodles. You’re going to be shocked at just how easy this is to make. . and in under 30 minutes. A lot of Asian people will be enjoying vegetarian chow mein noodles for Chinese New Year. . long noodles = good luck. . so slurp up those noodles! Enjoy! Feel free to use a mixture of whatever Asian vegetables you have on hand. 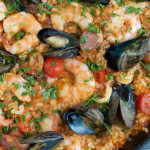 Using a large nonstick skillet, heat the oil over medium-high heat. After a minute or so, add ginger and garlic and saute for a minute or two. 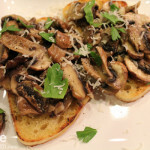 Add all of the vegetables from the bok choy to the mushrooms and cook for about 4 to 5 minutes, or until the vegetables begin to soften a bit. Feel free to add a touch more vegetable oil if needed. Next, add in the egg noodles and stir to combine. Cook for about 2 minutes and then add in bean sprouts and snow peas and cook for about 3 minutes or so. Add in the vegetable broth, hoisin sauce, soy sauce, and honey. Bring the mixture to a boil and stir until slightly reduced and thick, for about 2 minutes. Season with salt and pepper, to taste and garnish with the diced green onions before serving. Um, yes please, times infinity! You are making me crave chow mein like mad right now 🙂 I don’t think I’ve ever made this at home but I’m totally going to give it a try now. We have a ton of Asian food markets in my town and my mother and I are there so much (we need a steady supply of lumpia in our house), they all know us by name. 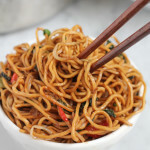 I don’t know why I haven’t made chow mein yet because it is one of my favorite dishes EVER! Maybe I’ll stop by the store today and pick up some noodles. 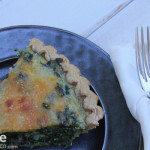 Just wanted to let you know that I did end up making this recipe and it was soooooooo freaking good, Alice! It’s officially going in my regular dinner roster! Oh Amanda, you are so sweet!! You just made my day! Thank you!!! Happy Valentine’s Day! Bringing in a photo to the Asian market is such a brilliant idea! You have no idea how many times I’ve gone in looking for something, couldnt’ find it, asked, and unfortunately left empty handed due to the language barrier. Why didn’t I ever think of that (palm to forehead moment!). 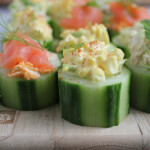 LOVE all your Asian recipes on here, and this one is no different… looks amazing Alice! There’s an Asian Market I go to often, where even the labels on packages and food are in another language without any English at all so the next time I go, I will take your advice and print out a picture! 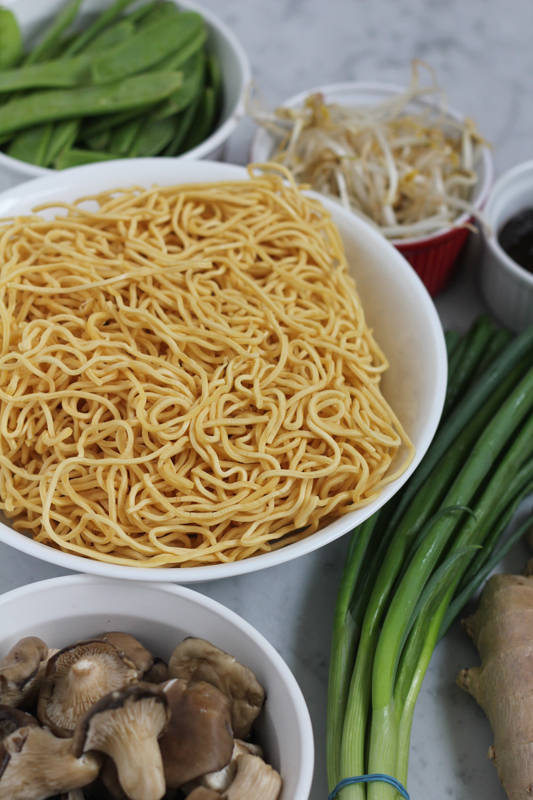 As for this chow mein – thanks so much for breaking it down and making it look so easy! Excited to see all the Asian recipes you’re coming up with in the next few days! I only have one…My mom needs to teach me a few more of her new year’s dishes! Seriously I want chow mein to be a staple in my home. I would eat this twice week it looks too good! Alice this vegetarian chow mein looks so awesome. I always order chow mein for takeout but rarely make it myself.. after seeing this post though you definitely have inspired me to try my hand at the recipe! This chow mein looks phenomenal and I can’t wait to see all of the awesome Asian food that you’ll be sharing with us! 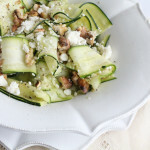 Love flavorful and healthy dish like this! I always add some protein in my chow mein, but I must try out this vegetarian version next time. What a surprise that you can find fresh egg noodles! It is even rare here in Beijing! so, how much for home delivery to Sydney? These look all the yum. Oh I’m so ready for a week of Asian inspired eats! And hand over these noodles! They look amazing! 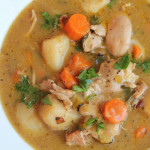 This is so nice and easy and it’s full of flavour! Yes! Veggie chow mein is one of my favorite meals. Packed with so much veggie goodness! I love Asian recipes and yours are always awesome so I can’t wait to see the others. I’m loving the looks of this chow mein, Alice! This is definitely getting me in the mood for asian food, even for breakfast! 🙂 I love that this is a vegetarian version and so full of flavor! Yum! Chow mein is one of my favourite dishes! Love the veggies all packed into this! Delicious and healthy! Alice, this chow mein looks delicious! Hubby is beside me and he is drooling right now. Looks like I’m making this sometime soon! Pinning! I love our asian markets! Did you know some carry some african delicacies? I head there for both things lol! 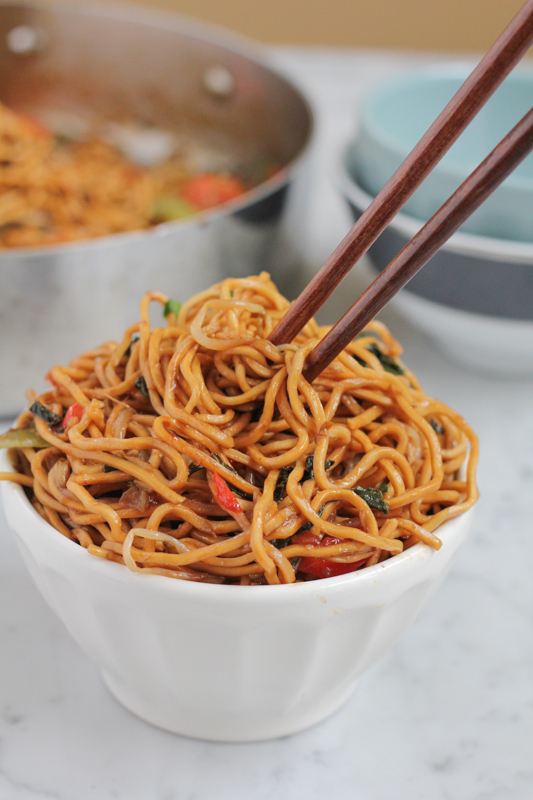 I love how easy this chow mein is! I can see myself just throwing in chicken and having a dinner ready. Thanks for sharing!! Alice, I totally want to dive into those noodles! I never make asian food at home except for the occasional stir fry because I just don’t know how — there was a fried rice disaster. I can’t wait to see the rest of what you are cooking up for us for Chinese New Year! 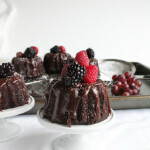 That is such a great tip to bring a printed version of the recipe you’re going to make! I headed to the asian market in town once, and was having no luck finding a certain ingredient. Definitely taking your advice next time! And this chow mein looks absolutely perfect. I just love asian cuisine of all types. Can’t wait to see what you cook up next! I’m going to love this week already, I know it! I love seeing your Asian recipes and it makes me miss home so much. 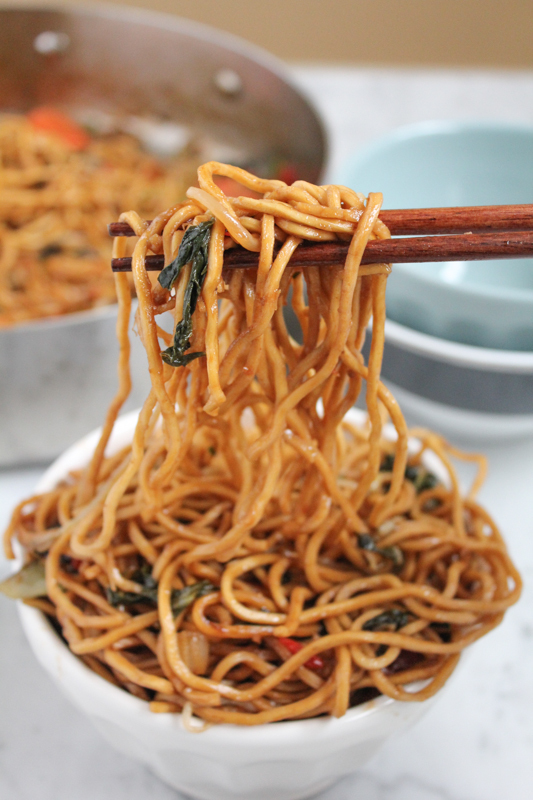 If only I could fly you over here to cook for me–I’m missing my chow mein fix! You think it would be unhealthy to attempt to live on these noodles alone because I think I might try it! They look amazing! These noodles look amazing Alice! I’ve been craving some for a while! Time to make Chow Mein 🙂 Have a great weekend! Love the hoisin sauce in your recipe – Happy New Year! My family loves Asian food…and these noodles would be a hit for sure. We have a wonderful produce market that carries a lot of Asian products, I have to start looking for more ingredients there (and honestly visiting there more often – such a great place). I am a collector of Asian ingredients, I buy them but never cook with them, it’s terrible! I think it’s because I just don’t have a plan or recipe for them most of the time. 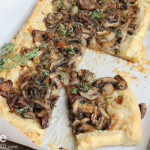 I need to print this one out and make it, it looks absolutely delicious! 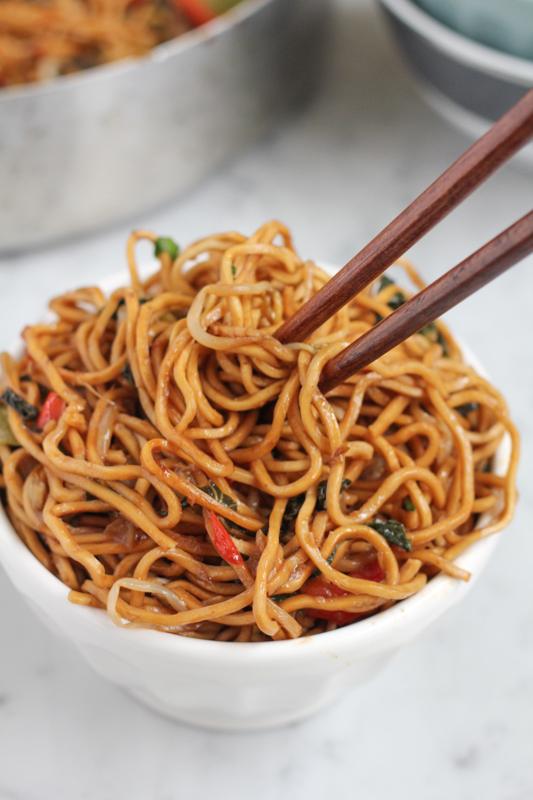 I love veg chow mein…it’s one of my absolute favorites! 🙂 I have a recipe for this on my blog too..yours look wonderful! Yum! I’m already getting hungry for dinner and I totally wish I was having this! I could eat Asian cuisine every day. It’s the ultimate comfort food as far as I’m concerned. This looks amazing. I so love my Asian markets! I love snooping in others’ carts, I love touching all the produce, and I love learning so much! I don’t think I could live in a place without a few of them! I cannot believe in all the time I’ve been drooling over your photos on Instagram, I never visited your blog! Crazy! 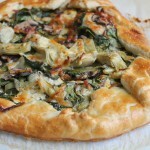 This dish looks awesome and I’m surprised how easy it is to put together! Definitely going on my dinner list! And your photos are gorgeous, girl! 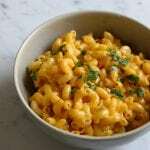 I tried this recipe with some alterations to make it vegan and it came out wonderful. I added way too much oil and heavy handed the hoisin sauce. I’m definitely going to make it again and fix what I did wrong the first time. There was a single thing missing from this recipe that I feel needed added and that’s Sesame Oil / seeds. Add those and it’ll taste even better! Good call on the sesame oil . love it! thank you so much! Someone said that packages refrigerated Stir-Fry Yakisoba Noodles taste very well. Have you ever tried to using them to make your vegetarian chow mein? It’s a bad idea. Vegetable Chow Meins is a tasty & healthy fried noodle, meats, onions, vegetable, sauces usually use to cook. Vegetable Chow Meins is very easy making lunch and dinner healthy food. Can we cook the veg chow mein without the hoisin sauce and soy sauce ? Hi! Then, what would you use for seasoning? You’ve made my day awsome thank you, i’ve followed your instructions and cook that recipe and i just want you to know that it’s soooooo freaking good.